I use a 32GB iPhone 7 and have been pretty happy with it. I love its camera and often find myself clicking pictures of nature and new places I visit. 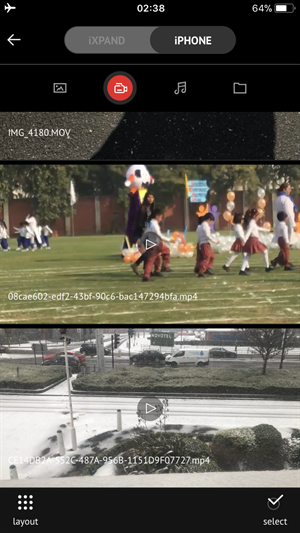 I prefer to take high-resolution pictures and recently decided to opt for recording 4K videos instead of full HD for those important family occasions. This not only increased the overall video file size but also decreased the available storage on my phone since these recordings would now take almost double the space of a normal HD video. I now started getting "storage full" notifications every day and had to opt between either transferring these videos to my computer or delete some of them to free up space. This pretty soon became very annoying and I started looking for solutions to this headache. 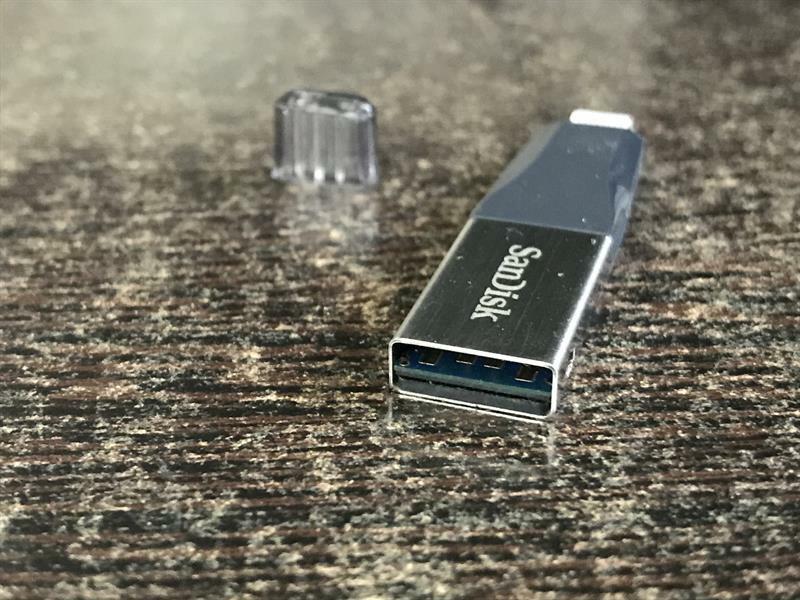 That's when I came across the 'Sandisk iXpand Mini flash drive' that works on the concept of OTG USB connection for mobile phones. 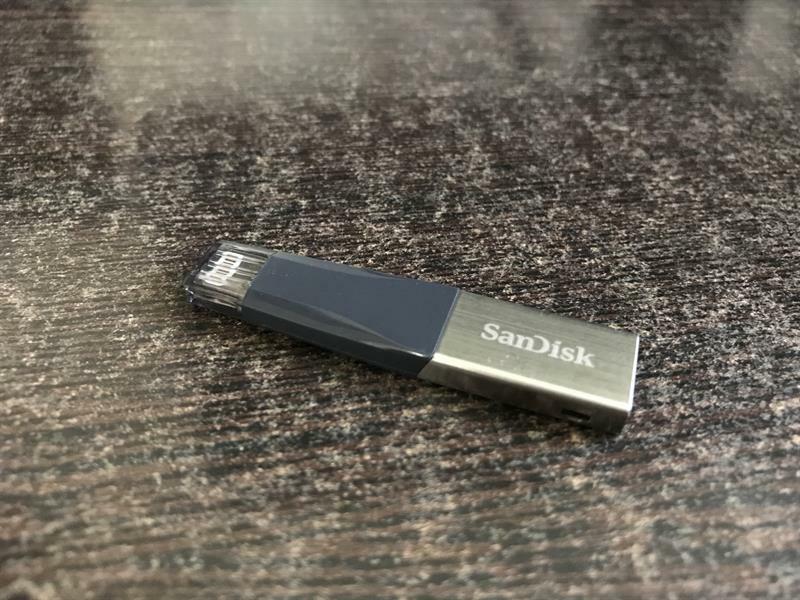 Just like any other OTG pen drive that works on Android devices, the Sandisk iXpand flash drive works perfectly for iPhones and iPads. It comes with a 2-year warranty and is an excellent way to backup your photos/videos and important documents. 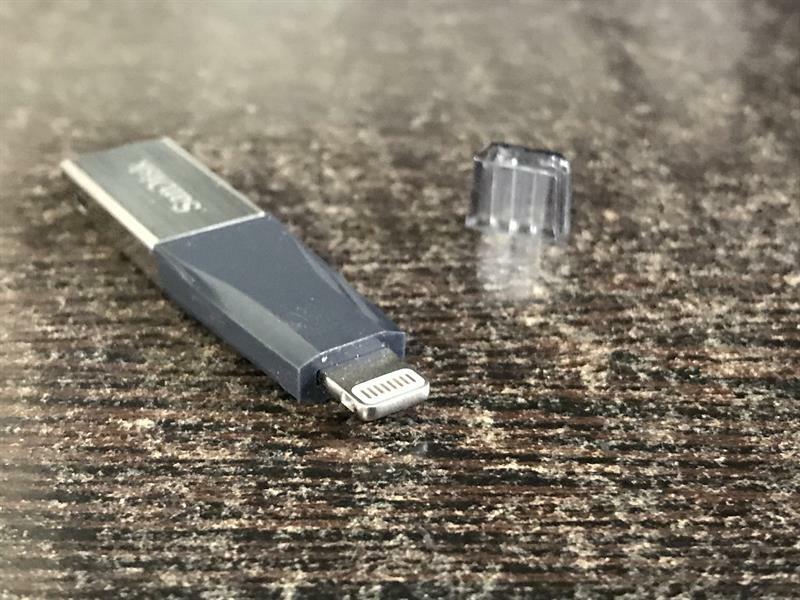 The flash drive when connected to the lightning port of the iPhone does not natively work. You would need to install an app by SanDisk so that it can read and write data from your iPhone. 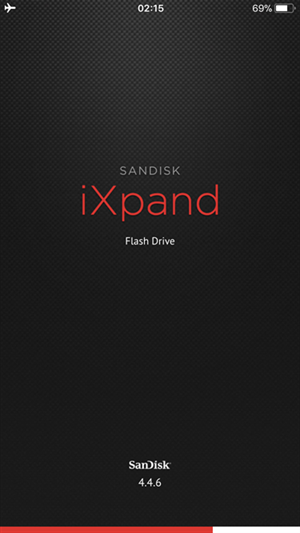 The app itself is developed by SanDisk and is called iXpand Drive and is available on the Apple App Store. Once installed and given permission to access photos and videos, simply connect the flash drive to your iPhone or iPad and it'll automatically back up all photos, videos and music files onto itself. These photos and videos can then easily be viewed into an external computer using the USB port on the other side. The transfer is seamless and does not require any manual intervention. In case you do not like the option of auto back-ups, you can manually select the files to be backed up instead. I, on the other hand, prefer the auto backup and sync every time I connect this flash drive to my iPhone. The videos and music files stored onto the flash drive can also be directly played without having to transfer them back to the iPhone. Thanks to USB 3.0 speeds, even 4K videos stream perfectly from the flash drive. If you like to download movies locally and prefer to watch them later at your convenience, this works out best for you. Simply transfer your movie collection onto this flash drive (4K movies too) and stream them directly onto your iPad or iPhone's screen during your me time! 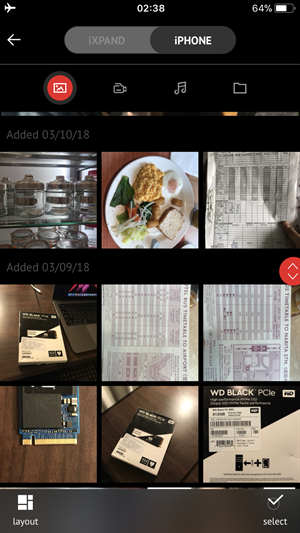 The iXpand app neatly categories all your content into photos, videos, music and all other files. Moreover, your music files are also sub categorised by genre, album, artists, playlists etc. Apart from automatically backing up all photos and videos from your iPhone/iPad camera roll, this app also allows you to backup your contacts as well. Having a backup of all your contacts can be very beneficial during times of data loss due to software issues on mobile devices. So, what happens in case you lose your flash drive? Would the person who finds it will have access to all your private photos and videos? 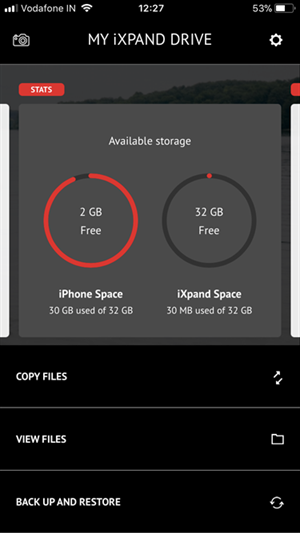 Well, SanDisk has a Security option built-in within the app that allows you to lock all your personal photos, videos or files so that only you have access to them. This can be done by heading into its Settings and enabling the Security options. Once you enable this security feature, it'll ask you to set a password. From here on, all the files that you select and want to password protect would be transferred to a secure vault on the flash drive. Only when you enter your password would you be able to access these files. The SanDisk iXpand drive app also gives you the option to use Touch ID instead of typing in the password everytime you need access to your private files. This works best for someone like me who does not like to remember all kinds of passwords we need to make these days. The iXpand flash drive comes with a 2-year warranty offered by SanDisk. 5. Compatible with high-resolution photos and 4K videos. 6. Perfect data backup solution for those who do not prefer cloud storage services for privacy or pricing reasons. I couldn't really find anything wrong with this device, to be honest. Even though the iXpand drive app offers a lot of functionality, I just wish this flash drive could work natively on the iPhone without having to use an app, just as an OTG flash drive works on an Android. I hope this article was useful to you. Please let me know in the comments section below if you have any questions and I will try my best to answer them as soon as possible.